Asbestos abatement is always a job for professionals, but in this case mishandled asbestos removal temporarily closed the Lafayette Academy’s Uptown New Orleans location. There is much finger-pointing in this situation which began in 2017 when the Recovery School District (RSD), run by the state, began renovations of the school as part of the School Facilities Master Plan for Orleans Parish. The Lafayette School asbestos removal and renovations began in 2017 with the building’s third floor. While abatement was to begin in May 2017 after students were dismissed for the summer, it has come to light that it began as early as March 2017 while students were in the building – some students even in the asbestos containment areas. Though the RSD claimed, “all environmental laws and regulations regarding hazardous materials were followed,” an inspector wrote in a state report that containment areas were unsecured, students walked the halls in the area, and at least one student peaked into the containment area. The inspector also found the project supervisor falsified his asbestos removal certification and there were boot prints in and out of containment areas which showed workers could easily track asbestos into the halls. The inspector also found an empty classroom was used to store improperly labeled and wrapped asbestos. In spite of this, the RSD when notified didn’t stop the abatement activities or evacuate the building. However, some scheduling changes were made, such as limiting work hours so that removal was only after school dismissal. 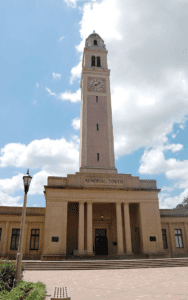 The RSD cited air quality tests that showed the air was safe on the day of the 2017 inspection and that their actions were approved by the Louisiana Department of Environmental Quality (LDEQ). The charter school is run by the Choice Foundation. The CEO of the charter school said there was no notification to him or his staff about the specific issues cited in the report, though he did know some changes had been made. Parents, however, say they should have been informed. One concerned parent said, “For you to get on the news and say that the children were not in school while construction was taking place – that’s a total lie!” As recently as July 13, 2018, RSD chief facilities officer, Ronald Bordelon, stated that the 2017 asbestos removal was “properly completed” before the students returned in August of 2017. Asbestos removal resumed in May of 2018 on the first and second floors of the Lafayette School campus on Carrollton Avenue. An LDEQ inspector noted on June 14, 2018 that asbestos was found on the flooring and insulation of the second floor and that holes were in the plastic material that stops asbestos fibers from releasing into other areas during removal, that workers walked in and out of the containment area without changing clothing – even walking around the campus and eating lunch with no clothes change. It is known that asbestos fibers can attach to clothing and be spread to other people, or furniture, which exposes others to inhalation of the deadly fibers. The abatement company was Advanced Environmental Consulting (AEC) out of Baton Rouge. They were hired by the general contractor, Law Industries, also from Baton Rouge. Last week, Law dismissed AEC and the RSD dismissed Law. This year, the students will be split between several locations until their school is once again a healthy environment. Some will be relocated to the McDonogh building on Kerlerec Street, some to the Paul Dunbar building. The Choice Foundation will make determinations on the locations for the various age groups. At the New Orleans Municipal and Traffic Court, housed in the Orleans Parish Municipal Court building, a busy courtroom ceiling collapsed closing court for several days. While it was only a portion of the ceiling, the room was closed “as an abundance of caution” because of possible asbestos exposure. The building is located on South Broad Street not far from the French Quarter. Why did it need to close? Asbestos is a known carcinogen. It was used to some extent throughout the 20th century – especially leading up to the 1950s through 1970s. It has many qualities that made it seem the perfect choice for insulation, heat protection, and for water-proofing. Because of its versatility, it was used in almost all commercial, government, and residential construction in those years – shingles, insulation, tiles, and mastic. It was also a component of ship-building, including ships of the U.S. Navy. Many people and companies were aware of scientific evidence that exposure to asbestos fibers could lead to diseases such as lung cancer, asbestosis, and especially to mesothelioma – a deadly cancer. Yet there were few, if any, protections for workers exposed to asbestos, or warnings to others that disturbing installed asbestos released the fibers and made anyone in the area susceptible to these diseases. The years that asbestos use was at its height, were also the years of a great deal of building in the US following the end of WWII and through the 1970s. Since the Municipal Courthouse was built during these years, it was necessary that protections were put in place to prevent any spread of asbestos through the collapse of the ceiling. What should be done if asbestos is found? Anyone considering demolition of older buildings, or noticing damage to areas that could contain asbestos, should have the building inspected, and if necessary removed, by a company certified in asbestos abatement.